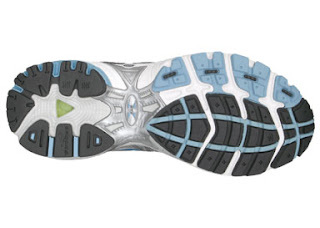 Whether you’ve championed the toughest running trails or are just getting started in the sport, the Brooks Adrenaline GTS 10 (also available in Men’s) running shoe will likely make your run more pleasant, as well as reduce pain in joints and increase stability. Back in my early college years, when I really started getting into long distance running, I went shoe shopping. My experience with running shoes was to just find something that fit, was comfortable, and was labeled “running” on the wall of shoes at one of my favorite sporting goods store. However, one lovely spring day, I walked into Bandana Running and Walking in downtown Boise. The crew at Bandana fitted me to my perfect shoe, letting me take each model for “test run.” They explained when to buy new shoes and how they should feel. I left with my purchase and tried out my shoes the next day on the Boise greenbelt. I don’t want to be overly sentimental about a pair of shoes, but they really did improve the way I run. They absorb the shock of the road and save my poor knees, which have a tendency to ache. They fit well to the width of my narrow foot, partially because they have width and length sizes, allowing me to get the perfect fit. They even have a good tread with enough grip to keep me upright in semi-slippery conditions. 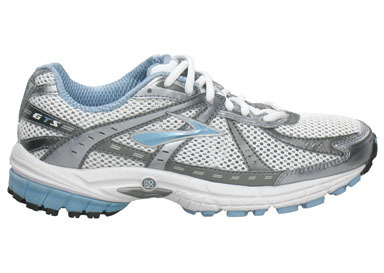 Right now, the Brooks Adrenaline GTS 10 Women’s shoe is on sale for $65.00 through the company’s website. The shoe is normally $100.00, but it’s on sale because the new model, the GTS 11, is out (and full price). However, once the GTS 10 sells out, you can be assured that the newest model will be even more awesome. Over the years, I’ve been through model upgrades, and Brooks always outdoes themselves.